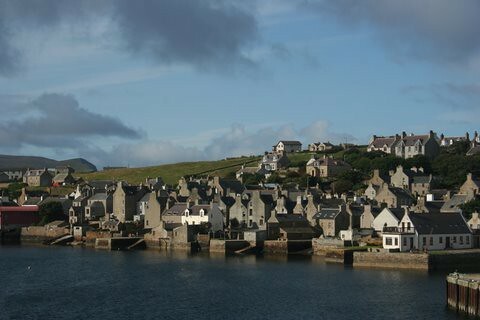 Ferries from Scrabster arrive in Stromness, and the newcomer is greeted by rows of stone-built houses hugging the shore, each with their own jetty. Stromness is a much more attractive town than Kirkwall, and its narrow, winding main street, its wynds and closes, its fascinating shops, and its unique atmosphere make it the ideal base for exploring the West Mainland. The best place to eat is the Hamnavoe Restaurant, at 35 Graham Pl, Tel. 850606. It specializes in local seafood but also offers good vegetarian dishes. Mid-range. Open Mar-Oct Tue-Sun from 1900. The Stromness Hotel bar serves good, cheap meals. The Ferry Inn also serves cheap bar food. The Orca Hotel has a good cellar bistro. Near the ferry terminal, on John St, is the popular Coffee Shop which serves good, cheap grub. Open Mon-Sat 0900-1830, Sun 0900-1700 (Mon-Sat till 1700 in winter). The best places for a drink are the downstairs bar of the Stromness Hotel, the Ferry Innand the bar of the Royal Hotel. The Tourist Information Centre is at the new ferry terminal, Tel. 850716. 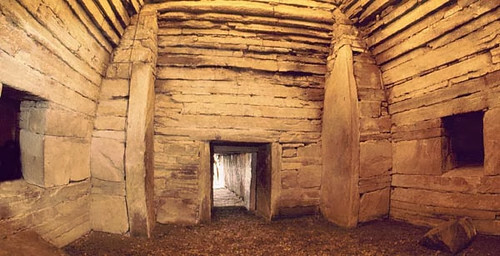 Its exhibition, This Place Called Orkney, is a useful introduction to the islands, and its free Stromness Heritage Guide takes you round all the buildings of interest in the town. Apr-Oct Mon-Sat 0800-1800, Sun 0900-1600; Nov-Mar Mon-Fri 0900-1700. 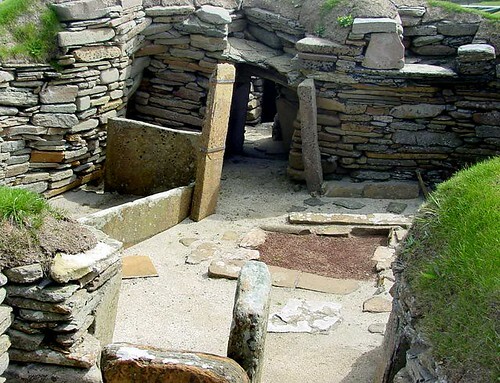 There are several buses daily (Mon-Sat) between Stromness and Kirkwall, 30 mins. 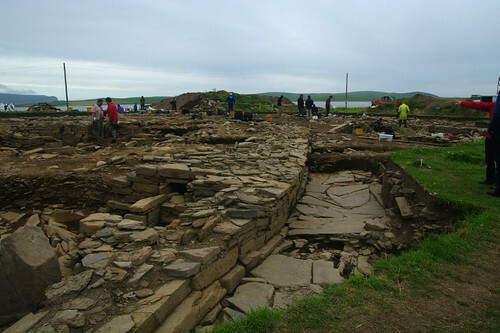 There's also a bus from Stromness to Birsay on Mon only, with Shalder Coaches, Tel. 850809. Car hire Brass's Car Hire, Blue Star Garage, North End Rd, Tel. 850850. Orkney Cycle Hire, 54 Dundas St, Tel. 850255. £4.50-8.50 per day. There are branches of Bank of Scotland and Royal Bank of Scotland, both with ATMs, on Victoria St.
Next to the Coffee Shop, Tel. 850904. Self-service or service washes. 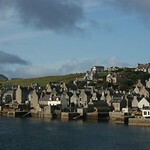 Stromness consists largely of one narrow, winding main street, paved with flagstones, which hugs the shoreline. Running off the street are numerous little lanes and alleyways, many with fascinating names such as Khyber Pass, and full of interesting buildings which reflect the town's proud maritime heritage. The houses on the seaward side of the street are gable end to the waterfront and each has its own jetty. The town is not designed for the motor car, so you'll have to park by the harbour and explore its delights on foot. The main street changes its name from Victoria Street to Graham Place, Dundas Street, Alfred Street and South End as it runs south from the harbour. The Stromness Museum, at 52 Albert Street, has exhibitions on natural and maritime history, and contains artefacts from Scapa Flow and the days of the Hudson Bay company. Info - May-Sep daily 1000-1700; Oct-Apr Mon-Sat 1030-1230 and 1330-1700. Adult £2.50, children £0.50. Tel. 850025. Opposite the museum is the house where George Mackay Brown (1921-96), Orkney's most famous poet and story-writer, spent the last two decades of his life. On a jetty to the south of the new harbour is the excellent Pier Arts Centre, housing a permanent collection of works of the St Ives school, including Barbara Hepworth, Ben Nicholson and Patrick Heron, amongst others, in a lovely gallery. Info - Tue-Sat 1030-1230 and 1330-1700; Jul and Aug also Sun 1400-1700. Free. Diving The Diving Cellar, 4 Victoria St, Tel. 850055. Offers diving packages, equipment rental and boat charters. Open Mon-Fri 1100-1400 and 1700-1900, Sat 1300-1700. Scapa Scuba, 13 Ness Rd, Tel./Fax. 851218. Diving course, guided dives, night dives and boat charters. The best hotel in town is the C-D Stromness Hotel, Tel. 850298, [htttp:///www. Stromnesshotel.com Thr stromness Hotel], an imposing old building overlooking the harbour, recently refurbished and offering good-value meals. Also near the ferry terminal, on John St, is the E Ferry Inn, Tel. 850280, The Ferry Inn which serves food and has a lively bar. There are several B&B options, including E-D Stenigar, Tel. 850438. 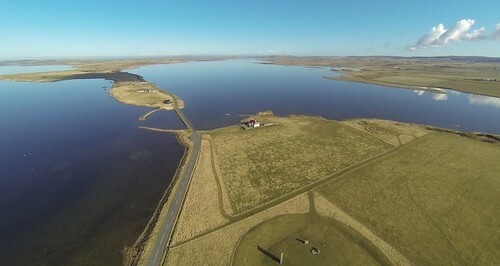 Open Apr-Oct, a converted boatyard on Ness Rd, just before the campsite, with views of Hoy and E Mrs Worthington, Tel. 850215. Open Apr-Oct, a traditional gable-ended house at 2 South End. On Victoria St near the harbour is E Orca Hotel, Tel. 850447, www.theoakleigh.com Also has a bistro (Bistro 76) serving good food. A few miles behind Stromness, at Innertown, is E Thira, Tel. 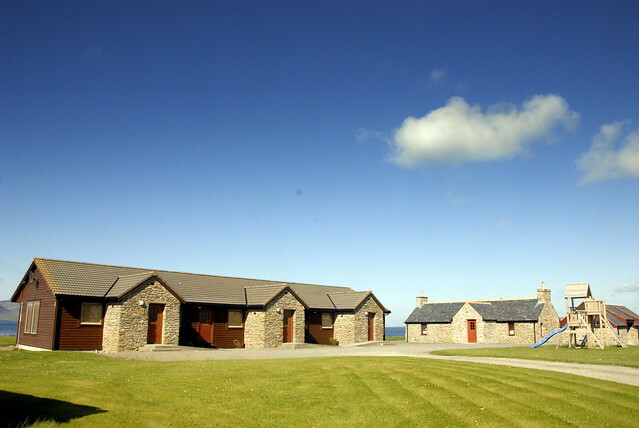 851181, a comfortable, friendly and non-smoking modern bungalow with spectacular views of Hoy. Also serves an excellent cooked breakfast, and will provide a fantastic dinner made from the finest local ingredients on request. F Brown's Hostel, 45 Victoria St, Tel. 850661. This popular independent hostel has no curfew and is open all year round; unlike the F SYHA Hostel, on Hellihole Rd, a 10-min walk south from the ferry terminal, Tel. 850589. Open Mar-Oct. There's a campsite, Tel. 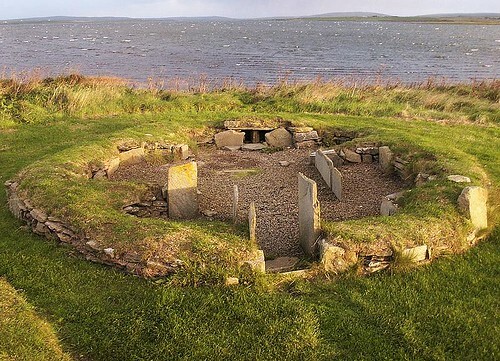 873535, open May to mid-Sep, at Ness Point, a mile south of the ferry terminal. It's well equipped and has incomparable views, but is very exposed.